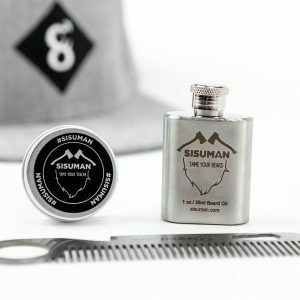 Same Classic Beard Oil, three times the size. This oil keeps your beard and skin moisturized and healthy while your beard is easy to manage. It also prevents inflammation and nourish the skin, and yeah it smells good too! 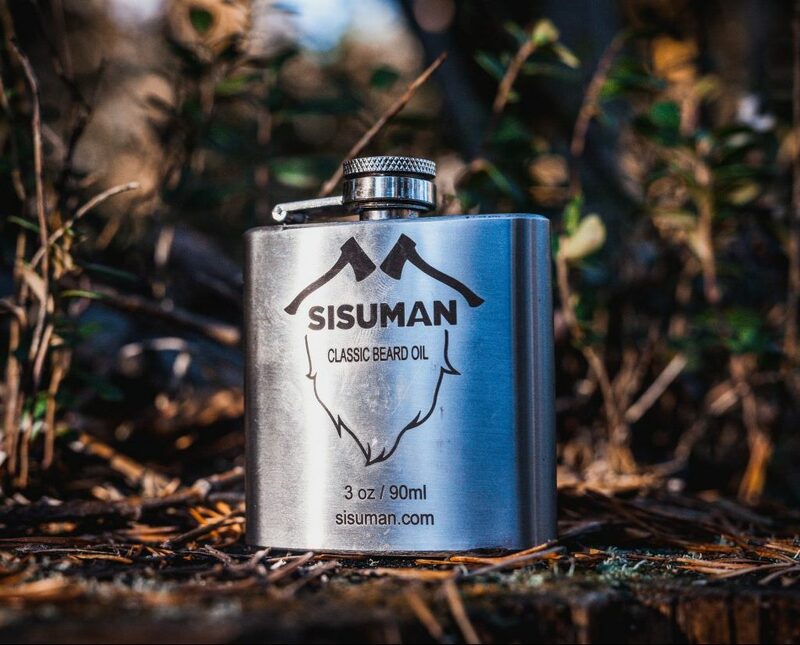 Our oil is a bit thicker than many others on the market and this makes the oil last longer and work good in all climates. 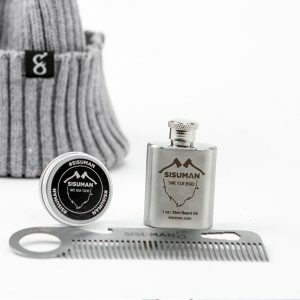 Big Bottle of Beard Oil (90ml) – Same Classic SISUMAN Beard Oil but in a three times bigger format, 3in1. 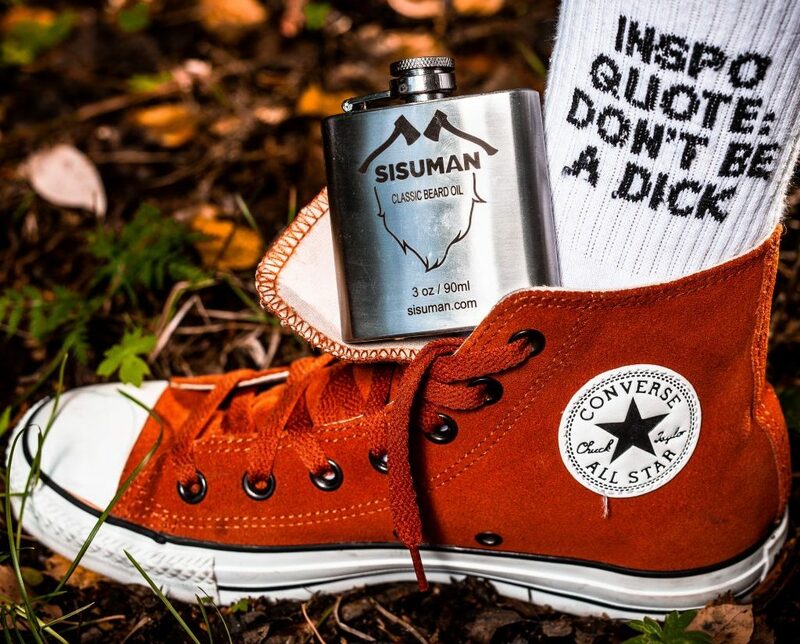 Our Beard Oil is handmade in Finland, where we have been manly for decades. Not just acting cool on socialmedia. 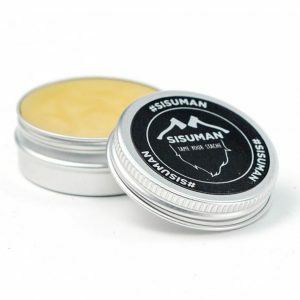 Pour a few drops of SISUMAN in your palm or on your fingertips (how much depends on your beard) and rub it between your hands to even the distribution. Next step is to start working the oil into your skin and beard, remember the mustache area. We prefer to apply oil after a shower when the pores are open. Find your own unique way that works best for you! You can find tips and videos under the link ”Beard care”.